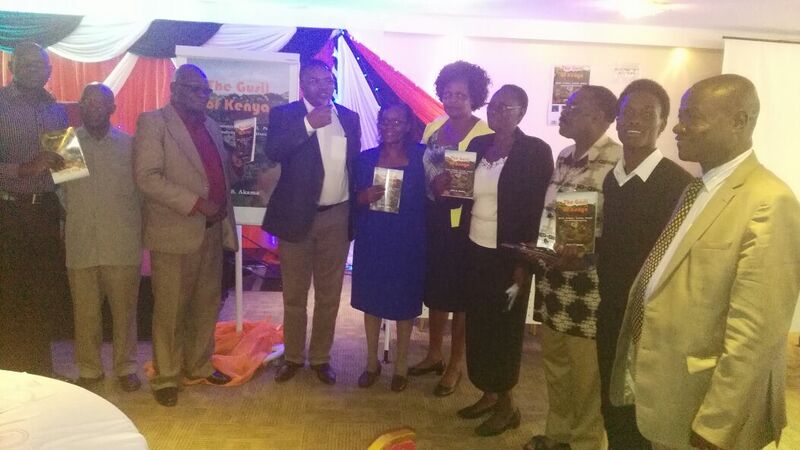 March 26, 2017 saw the launch of a landmark book titled The Gusii of Kenya by Prof. John S. Akama, published by Nsemia Inc. Publishers. The publication and launch of the work marks a culmination of the author's extensive research effort and meticulous documentation that dates back more than two decades. The work deals with social, economic, cultural, political and judicial perspectives of the Gusii community dating back a number of centuries. A key aspect pointed out in the work is that the community has retained its distinct culture and language even as it is surrounded by non-Bantu communities on all sides. A number of speakers, among them the Chancellor of Kisii University, Prof. Godfrey Muriuki, praised the work and underscored the need for Kenyans to tell our stories. Prof. Muriuki, a historian of repute, added that failing to tell our stories will let others tell them on our behalf with the risk that those stories will be distorted. Prof. Muriuki emphasized the value our collective cultural diversity that could form the basis of the Kenyan cultural mosaic, something possible if documented for today and future generations. Prof. Odhiambo Ndege, also a historian, spoke of how most Kenyan ethnic groups are connected, a matter covered in the book. As different groups moved around, they interacted with others with whom they intermarried (even in the face of conflict and war), traded and influenced each other’s character. He debunked the notion of ethnic purity that some tack on and which only results in unnecessary divisions. Prof. Ndege added that our history is important in that we can learn such things as collaboration, appreciation of diversity, and building on principles such as those applied in indigenous justice systems. Indeed, there is a lot we can gain from understanding such things as indigenous diets and lifestyles that can act as an antidote to vagaries (such as non-communicable diseases) we face with modern living. Prof. Akama took the audience through the process of gathering the material for the book and the protracted and arduous nature of the task. Time, especially, is a scarce matter for people such as himself charged with running institutions of higher learning (Prof. Akama is the Vice-Chancellor of Kisii University). Nonetheless, he emphasized that there is a need to sacrifice and dedicate needed time for such scholarship. In his presentation Prof. Akama walked the audience through key aspects of the culture of the Gusii. For example, the lack of a central authority among the Gusii has lasted for generations and is manifested today in the lack of one collective voice as a community. On the other hand, he argues that the Gusii would likely be more numerous and powerful were they more united from historical times. Speaking at the event, Dr Matunda Nyanchama of Nsemia Inc. Publishers urged others to write in the areas they are comfortable with. He added that despite publishing being an arduous task, which in many cases does not pay, capturing knowledge as that captured in The Gusii of Kenya is essential for posterity. He added that the company goes an extra mile to help authors effectively communicate their ideas, adding that they felt honoured that the author had trusted the publication of such a landmark work to them.